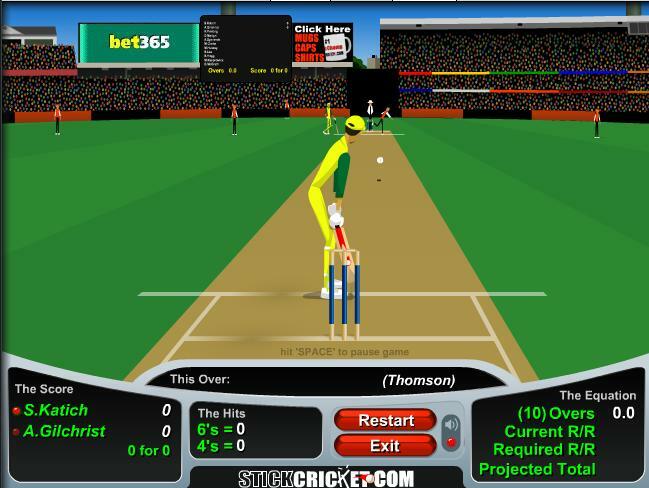 In preparation for The Ashes 2006, check out this Stick Cricket video that I worked on. The idea here is that Mark Waugh (famous Australian cricket player) is harrassed about his run rate by a new 'friend'. He doesn't realise that the guy is referring to his Stick Cricket run rate, an online game (warning - it is hard to stop playing once you start).